UW Health’s Susan Gold, a long-time global health field course leader, established Talking Health Out Loud, a mobile health platform that gives teens a safe place to ask questions about HIV and sexuality. 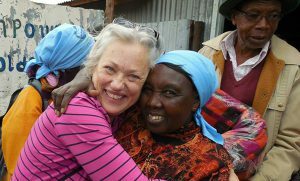 Nurse Susan Gold, RN, BSN, ACRN, who works in the UW Health HIV Clinic and Pediatric Infectious Disease Clinic, has volunteered as a nurse in East Africa since 2003, discusses her Talking Health Out Loud project. The mobile platform gives teens reliable information about HIV and a safe place to talk about the disease and sexuality. She received a Fulbright Grant in 2007 to evaluate a curriculum on reproductive health for HIV-positive adolescents. 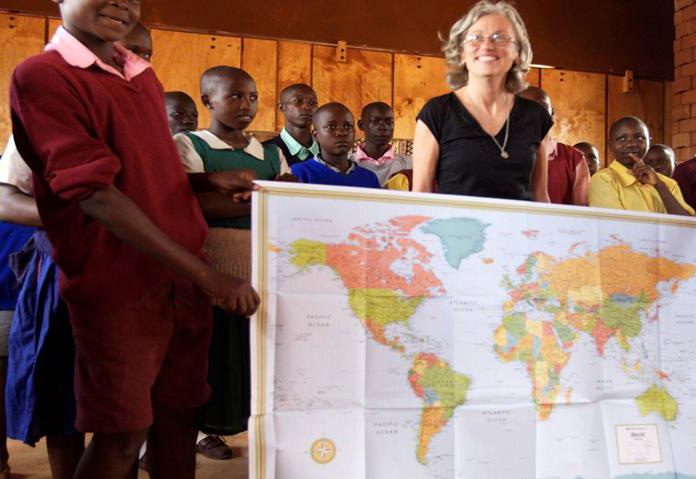 Since 2011, she has led global health field courses to Africa, in which students help teach the HIV curriculum. This year, Gold was awarded a Mandela Washington Fellowship Reciprocal Exchange Award to collaborate with Sicily Mburu, a Kenyan physician who co-founded AIDS No More. The women met during a GHI-hosted conversation in Madison that brought together health care workers from the Young African Leadership Initiative and UW-Madison to discuss their work with HIV/AIDS patients. Susan Gold has developed educational programs and a mobile app to help African teens understand their bodies, HIV/AIDS and relationships.